The fourth Annual Review of the IDEA Project will be organized in Luxembourg by DG SANTE on March 6th, 2016. Every year, since this is a long-term project, an Annual Review takes place to monitor and validate progress and update the program and priorities when needed and to ensure that all scientific stakeholders can express their views and get further clarification on the project. Year after year, there is tangible progress in the quality of the multi-stakeholder dialogue and in the application of the appropriate science towards minimizing fragrance induced allergy due to the leading role of a Supervisory Group in setting the agenda, in accompanying the dialogue, in shepherding the projects and in reporting results. In this context, the IDEA Annual Review has been proven to be a key event to address the most relevant topics for the next steps of the IDEA project. 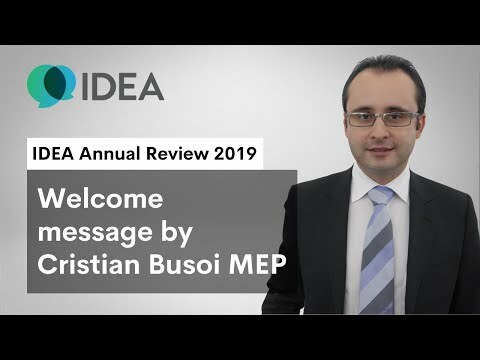 The fourth Annual Review of the IDEA Project will be organized in Luxembourg by DG ... Read more. Programme of the 4th IDEA Annual Review that will be held on March 6, 2017 ... Read more. The IDEA project is designed to provide a broadly agreed and transparent framework for assessing ... Read more. As in the previous years, significant time and efforts have been dedicated to the revision ... Read more. A summary of the key outcome of a working group meeting focusing on method providing ... Read more. A progress report on the discussions and main recommendations for a framework made by the ... Read more. The status of the method development and the plans of projects for its application to ... Read more.